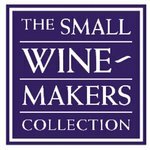 The Small Winemakers Collection Inc. is a collection of four companies: Small Winemakers, SWC Imports, Capricorn Wine Imports and Epna Wine Imports. Our principals have combined their regional specialties to provide a complete international wine portfolio. The Small Winemakers Collection maintains an office in downtown Toronto, with 9 salespeople selling to over 900 restaurants throughout the province. We also sell to more than 600 private clients in a given year. Since our inception, product quality has been at the forefront of our collection.